Do ghosts exist? 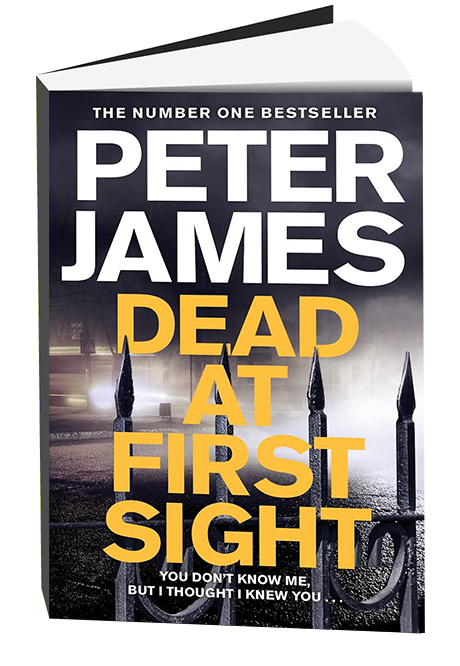 Bestselling author Peter James thinks so having seen one. As we approach Halloween he tells the tale of spooky sightings in his home. I have a dentist friend whose family was regularly chased along a corridor of their house by an angry female ghost and only recently a neighbour had all his colognes and aftershave bottles smashed in his bath by an angry spectral resident from centuries back who did not approve of alterations he had made to the house. I have lived in two haunted houses and it is not a question for me of whether ghosts exist but what they actually are. Is there such a thing as an active, sentient ghost like Hamlet’s father, encouraging his son to take revenge? Or are they merely passive imprints, the energy of dead souls that has somehow remained trapped in a room or a corridor that certain psychic people are occasionally able to see? In 1989 my then wife and I bought a historic house in Sussex that had once been a monastery. “You’ll like this place, with what you write,” the owner told me mischievously. The first manifested while we were moving in. I was standing in the porch with my mother-in-law, a down-to-earth magistrate. I suddenly saw a shadow, like the flit of a bird across a fanlight, in the interior of the house. Despite the warmth of the sunlight I felt a sudden chill. I knew she had seen something uncanny but I did not want to spook my wife on our very first day in this house. So I shook my head and told her I had not seen anything. In truth, I was feeling a little spooked. In the morning my wife left for work and at 10.30am I took a break from writing to go downstairs for a cup of coffee. On my way through to the kitchen I saw tiny pinpricks of white light all around me. My reaction was that it was sunlight reflecting off my glasses. However when I went downstairs for lunch the same thing happened and I was left with a slightly uneasy feeling. In the afternoon, when I went downstairs to make a mug of tea, it happened again. The next day it happened twice. After lunch I took the dog for a walk and we had only gone a short distance along the lane when an elderly man came up to me. “You are Mr James, aren’t you?” he asked. “Yes, two days ago,” I replied. “How are you getting on with your grey lady?” he asked, with a strange, quizzical look that unsettled me. “What ‘grey lady’?” I asked. “I was the house sitter for the previous owners,” he explained. “Six years ago I was sitting in the snug watching television when a sinister-looking woman, her face grey and wearing a grey, silk crinoline dress, materialised out of the altar wall, swept across the room, gave me a malevolent stare, gave my face a flick with her dress, and vanished into the panelling behind me. “I was out of there 30 seconds later and went back in the morning to collect my things. I was struck both by the sincerity of the man and his genuine fear which I could see in his eyes as he told the story. It made the hairs on the back of my neck rise. The following Sunday, at a family lunch, I took my mother-in-law aside and asked her what exactly she had seen when we were moving in. She described a woman, with a grey face, dressed in a grey silk crinoline, moving across the atrium. Many years ago I became friends with Dominic Walker who for a long time was Chief Exorcist of the Church of England (or Chief Minister Of Deliverance as he was officially titled). He investigated paranormal occurrences to find rational explanations. I asked if anything he had come across convinced him of the existence of ghosts. His stories chilled me to the bone. Those stories and my own experiences inspired me to write my new volume of short stories, A Twist Of The Knife. As a postscript I should add something of the house’s history. For much of the 20th century it was owned by the Stobart family, the most famous member of which, Tom Stobart OBE, photographer, zoologist and author, was the cameraman who climbed Everest with Hillary. One member of his family was, reputedly, a strange lady who subjected Tom’s sister Anne to such cruelty as a child she was never able to form normal relationships. Anne, whom we befriended in the years before she died, told us that this relative used to strap her hands to the side of the bed when she was a child to prevent her, should she be tempted, from touching herself. Was she the grey lady in the atrium?